Hyperbaric chambers have been used in medical settings for quite some time and have a long history of solid medical research at their foundation, showing positive results in treating certain illnesses. Just like any medical treatment, however, they do have risks. There are also certain situations in which they can be exceedingly dangerous. 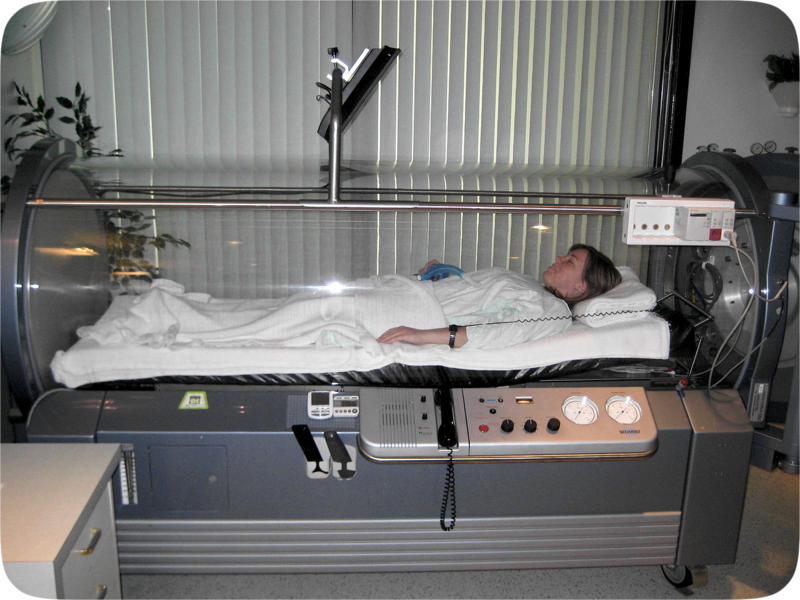 Unfortunately, hyperbaric chambers are often confused with other variations, such as hypobarics, altitude chambers, and altitude changing chambers. Some of these are unfortunately being marketed to Dercum’s patients as miracle cures. Before you consider letting anyone put you inside any of these chambers, it’s vitally important that you understand what they are, what risks you can expect, and what exactly it is they can do. After all, you wouldn’t swallow a pill without knowing what it was. Why put yourself in a chamber without fully understanding it? Let’s begin with basic definitions, starting with the basics of Hyperbarics and Altitude chambers, then moving on to variations thereof. Hyperbaric chambers essentially create an artificial environment inside a confined chamber. Inside the chamber, the atmospheric pressure is raised up to three times higher than normal. Under these conditions, your lungs can gather up to three times more oxygen than would be possible breathing oxygen at normal air pressure. The FDA has approved hyperbaric chamber therapy for a limited number of illnesses, based on scientific research that has shown some degree of benefit. It’s believed that hyperbaric treatment can benefit patients suffering from decompression sickness, resistant infections, burns, carbon monoxide poisoning, air or gas embolism, and certain types of tissue damage. Patients receiving HBOT are at risk of suffering an injury that can be mild (such as sinus pain, ear pressure, painful joints) or serious (such as paralysis, air embolism). Since hyperbaric chambers are oxygen rich environments, there is also an increased risk of fire or explosion. As such, hospitals very closely control what patients are allowed to wear and take into hyperbaric chambers. Any artificial materials must be excluded, as they greatly increase the risk of fire or explosion. Some companies are starting to market hyperbaric chamber use in the home and even in malls. This is considered exceedingly dangerous and has already resulted in injury and even death of unsuspecting consumers. Hyperbaric chambers should only be operated by qualified medical professionals. Altitude chambers are somewhat similar to Hyperbaric Chambers in that they artificially alter the atmospheric pressure inside. However, unlike Hyperbarics, they do not include enriched oxygen. 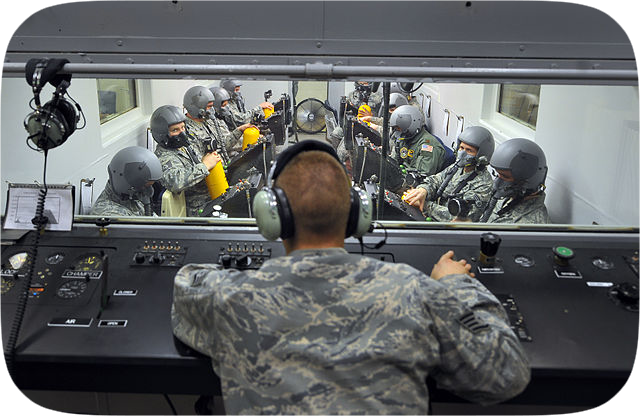 Altitude chambers are routinely used in the military in training pilots and navigators who need to grow accustomed to operating heavy machine in conditions where they’ll be breathing lower rates of oxygen at higher altitudes. Altitude chambers are also used in research to simulate the effects of high altitude on the human body, especially hypoxia (low oxygen) and hypobaria (low ambient air pressure). Given that our very lives depend on oxygen, it’s natural to assume that whenever you deprive the body of oxygen you run very serious risk of injury and death. As such, there are very stringent, important protocols that must be followed whenever subjecting anyone to an altitude chamber. One such protocol involves the pre-treatment of enriched oxygen for at least twenty minutes before entering an altitude chamber. This helps to prevent Decompression Sickness, otherwise known as “The Bends”. Decompression sickness can cause intense joint pain, tissue damage, and even brain damage. Worse still, it can cause certain parts of the body to literally explode, such as the intestines or sinuses. Even with pretreatment of oxygen, decompression sickness can still occur. There is literally no proven medical therapeutic use for altitude chambers and the FDA has not approved them for medical use. 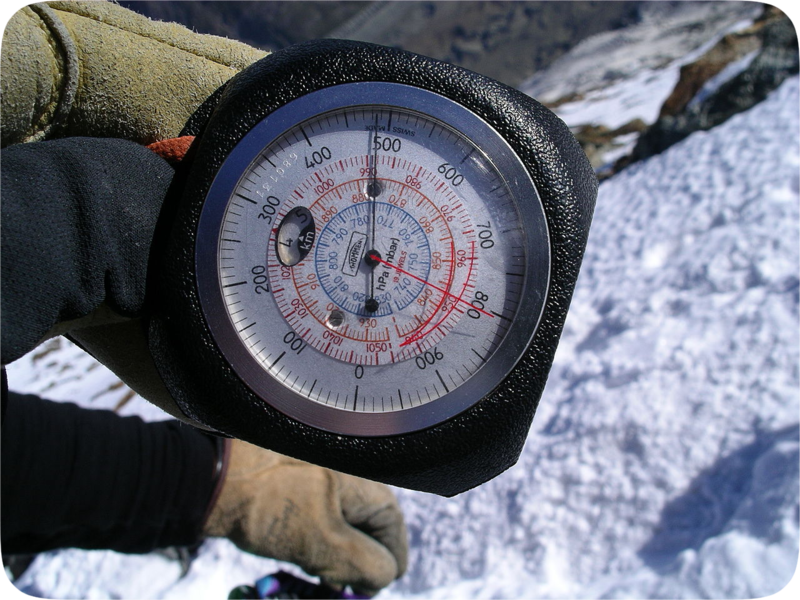 “Hypobarics” is simply another term for decreased oxygen, the effect of artificially raising the altitude without the presence of enriched oxygen. Altitude chambers are also known hypobaric chambers. Again, there is no legitimate, proven, or approved medical use for hypobaric or altitude chambers. The FDA has not approved them for medical therapeutic use. If anyone is encouraging you to consider an altitude chamber for medicinal use, please be incredibly wary. Any such use is outside the scope of medical ethics, is considered dangerously experimental, and is not supported by the FDA. As we all know, depriving the brain of oxygen can lead to lasting, permanent brain damage and even death. Even if temporary hypoxia feels good, it does not mean it’s in any way therapeutic. When your brain is deprived of oxygen, you temporarily feel a sense of euphoria. This is brought on by your body’s natural reaction to a decrease in oxygen and is not a sign of well-being or any positive effect. If you have already been subjected to an altitude chamber and you feel any additional joint pain or neurological impairment, please contact your doctor immediately or call 911. If you need assistance finding an expert, The Divers Alert Network provides a 24-hours a day, 7 days a week Emergency Hotline at +1-919-684-9111. Unfortunately the Dercum’s community has recently been targeted by several individuals advertising an even more dangerous variation – an Altitude Changing Chamber. Meaning, not only is it an altitude chamber that takes you up to higher altitude, but it then rapidly changes altitude by taking you higher then plummeting you to decreased altitudes at an extreme rate of speed. This constant up and down, up and down is incredibly stressful on the body and incredibly risky. What’s more, from our experience we have seen that these rapidly changing altitude chambers do not include enriched oxygen and they are not pre-treating patients with enriched oxygen either. It cannot be overstated how incredibly dangerous this is. Again, any altitude chamber comes with the risk of Decompression Sickness. Over a century of evidence has proven this. To willfully take someone to higher altitude and drop them back down again is not in any way medically therapeutic and runs the incredibly high risk of inducing Decompression Sickness, or worse, an arterial gas embolism. Either can be potentially deadly. Again, even those who have been pre-treated with oxygen are still at risk. The FDA has not approved altitude chambers or altitude changing chambers for any form of medical use. There is literally zero evidence that either have any form of therapeutic benefit. With all of the potentially deadly risks, and no proven potential benefit, is it really worth risking your health or your life? Anyone trying to convince you to use an altitude chamber of any kind is essentially asking you to subject yourself to unsanctioned research outside the scope of the FDA. In our opinion this is pointlessly risky and unethical. Please, to err on the side of caution, do not go into an altitude chamber without first talking to your doctor, potentially getting a second opinion, and very carefully evaluating all of the safety procedures and protocols. If no enriched oxygen is being given, do not allow anyone to artificially take you to altitude. Your life may depend on it. If you happen to have a common mild heart deformity called a Patent Foramen Ovale – a small hole between the ventricles of the heart that many people don’t even know they have – you’re also at an increased risk of having a stroke during drastic changes in altitude. That risk is so huge that such people aren’t even allowed to go scuba diving for that very reason. 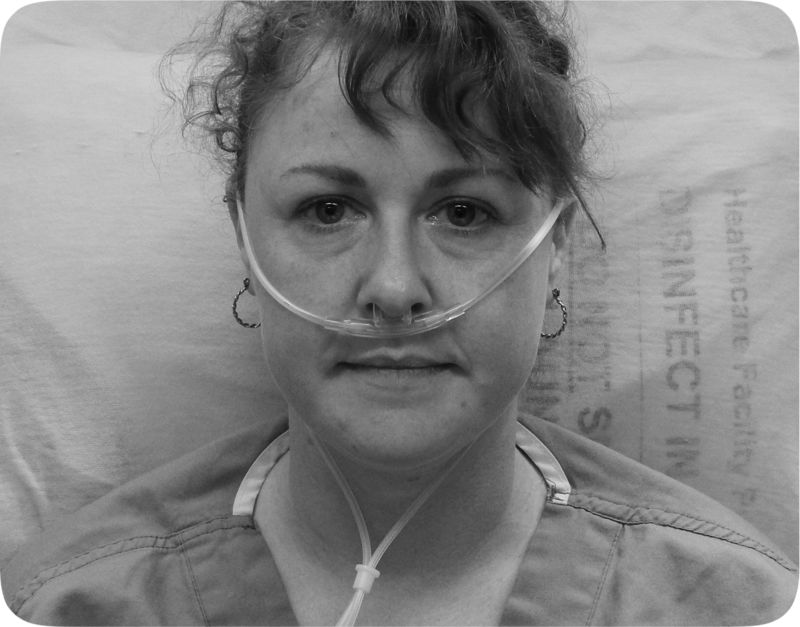 Even oxygen pre-treatment, however, doesn’t eliminate the potential risks. There are many documented cases of divers and fighter pilots still experiencing “the bends” even with oxygen pre-treatment. Among other horrible things, Decompression Sickness in extreme cases can literally cause sinuses or intestines to burst. Altitude chambers are nothing to take lightly and nothing to play around with. As we have demonstrated, altitude chambers are very different from medically therapeutic hyperbaric chambers used in a hospital setting and operated by medical professionals. Those too, however, have major risks. According to the world’s leading medical experts – including Johns Hopkins University Medical Center – hyperbaric oxygen therapy should only be prescribed and operated by properly trained medical professionals. Hyperbaric chambers, just like altitude chambers, artificially alter the pressure on your body and the amount of oxygen you breathe. Both can have lasting effects and carry with them dangerous risks. For instance, when entering a hyperbaric chamber in a hospital, it is vital that you wear only natural fibers and have absolutely nothing on you that could possibly cause a spark, as there is a hugely increased risk of explosion and fire due to the enriched oxygen. Again, it is not a toy, it is not a spa treatment, and is nothing to be taken lightly. The added danger with altitude chambers is that they artificially make you feel better afterward by literally depriving your brain of oxygen, inducing a temporary state of euphoria. However, naturally, our brains need oxygen to survive. Decreasing oxygen to the brain can cause lasting, permanent damage. Yet if you’re temporarily feeling euphoric, you can’t even safely judge or realize that you’re putting yourself in danger. Please, do not take unnecessary risks with your health. If anyone is promoting any treatment outside the scope of a hospital setting, be very, very wary. Always talk to your doctor first before trying anything unusual. Your health – and potentially even your very life – depends on it. Don’t just take our word for it! Find out what the FDA has to say about the many wild claims and promises being made about hyperbaric chambers and more. For the sake of your health, please do your research before allowing anyone to artificially take you to altitude. If you’ve already been exposed to an altitude chamber, please call 911 or talk to your doctor immediately. If you have any symptoms such as muscle weakness, paralysis, difficulty urinating, bloody froth from the mouth or nose, dizziness, convulsions, blurry vision, chest pain, tingling, numbness, confusion, loss of memory, sore joints, or shortness of breath, please immediately be evaluated for Decompression Illness. If you and your doctor need help finding a Hyperbarics Specialist, please contact the Divers Alert Network hotline at +1-919-684-9111.